Finally, a non factory Diesel Particulate Filter (DPF) Solution is here! DPF Simulators, DPF Removal Solutions and Replacement Service. 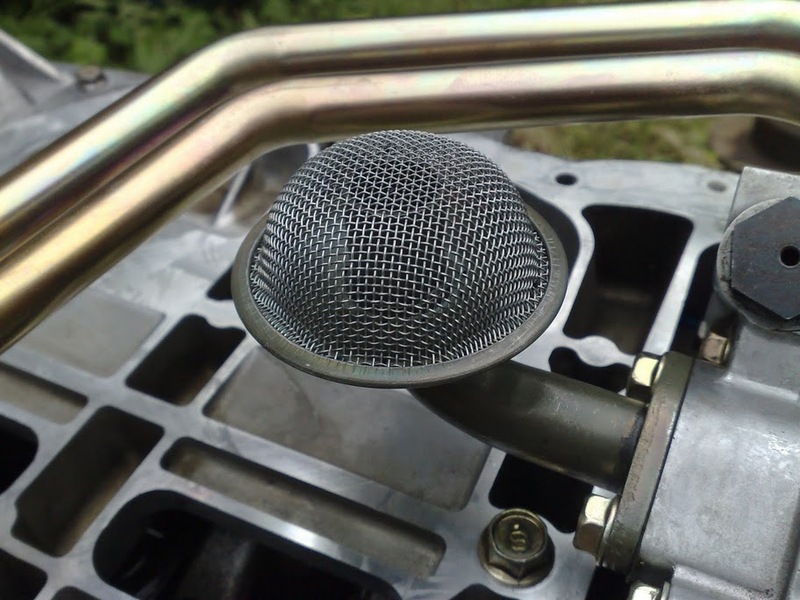 Note: NSW vehicle owners need to be aware that you must not use a vehicle on any road or roads related area in NSW if any anti pollution device has been removed unless the vehicle is being used in motor racing or off road motor sports. Other Countries, States and Territories may have similar restrictions. Check with your Country, State or Territory regarding your rights. 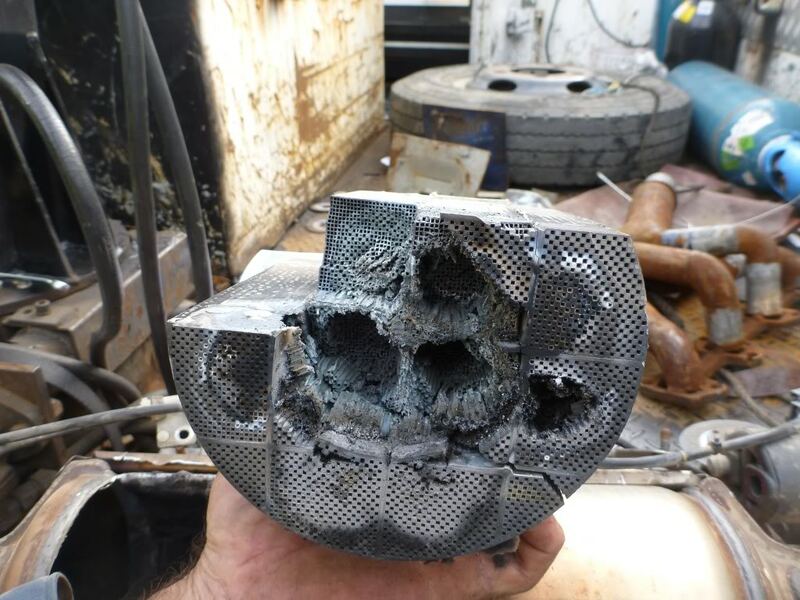 DPF disasters and engine degradation due to engine oil dilution or excessive back pressure is a very common issue with modern diesels fitted with a Diesel Particulate Filter. For many years the only option for DPF equipped vehicles experiencing problems (ie DPF warning light on the dashboard of the car) was to replace the old blocked DPF with a Factory unit, costing upwards of $6000. Fitting a genuine factory part was not viable for most people. 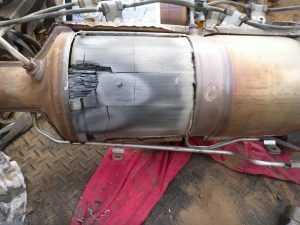 Fitting an aftermarket DPF does not help either as the aftermarket DPFs fail after a short 20,000 to 30,000 kms. Now, there is an alternative. We’ve invested a great deal of time and money to research the issue in depth. We now have solutions for this problem does not include a $6000+ price tag. This means the manufacturer allows you to drive the vehicle with much less quality engine oil (lubrication quality) than what is actually needed to keep your engine running with minimal wear and tear. This oil contamination will ultimately kill your engine. During the course of your standard vehicle warranty SOME (not all) will correct the issue under warranty. Of course, any engine issues that develops AFTER your warranty expires is your problem, so manufacturers get to wash their hands of the whole problem since their main aim is to pass the emission test when the vehicle was new and hope the problems don’t occur until AFTER the statutory warranty has expired! The problem that arises BECAUSE of these ill-thought of systems lands squarely in the vehicle owners lap. Unfairly so in our opinion. See the pics below showing the oil pick up from a vehicle having less than 200,000 kms on the odometer. The pic below is what it SHOULD look like. We recommend to have the oil pick up checked at time of the DPF Service. The problem for us where these Systems are fitted is that these Systems are causing more than a fair share of motorist concerns and troubles. It has happened to many where the vehicle will stop whilst on a hill assent towing a boat or caravan with trucks barrelling up behind you at speed or when overtaking. This is life threatening in the extreme. We are checking as to whether the regulations allow for owners to remove a System that is causing these major fears. 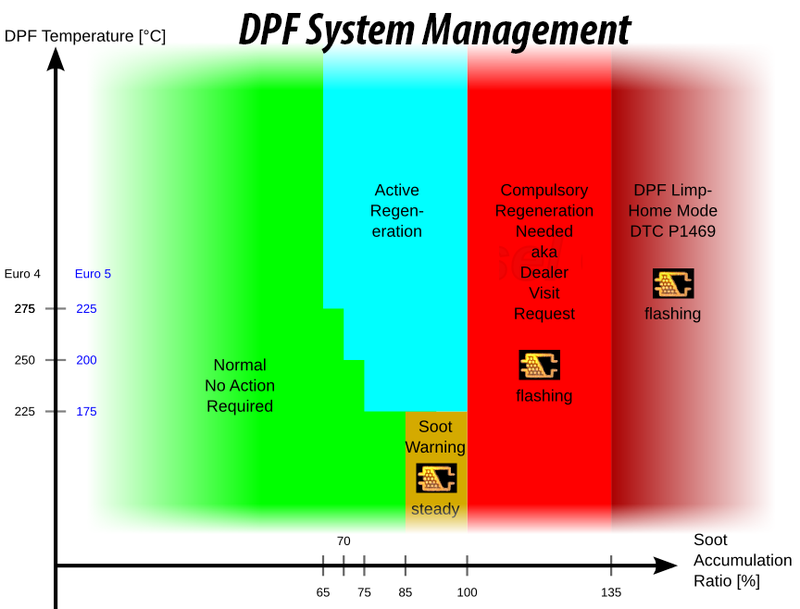 What DPF Service do we provide? We can confidently provide a COMPLETE DPF removal solution by which we switch off the DPF configurations in the factory ECU and effectively eliminate the DPF from the vehicle both physically and electronically with zero Check Engine Lights appearing on the dash. Your car won’t fall into limp home mode and you’ll get both a performance increase and a fuel saving as well! No more Low Ash Oil requirement which means you can change the engine oil using regular low cost oil. This alone will save you $$$ over the years. 1) You can bring the vehicle to us. 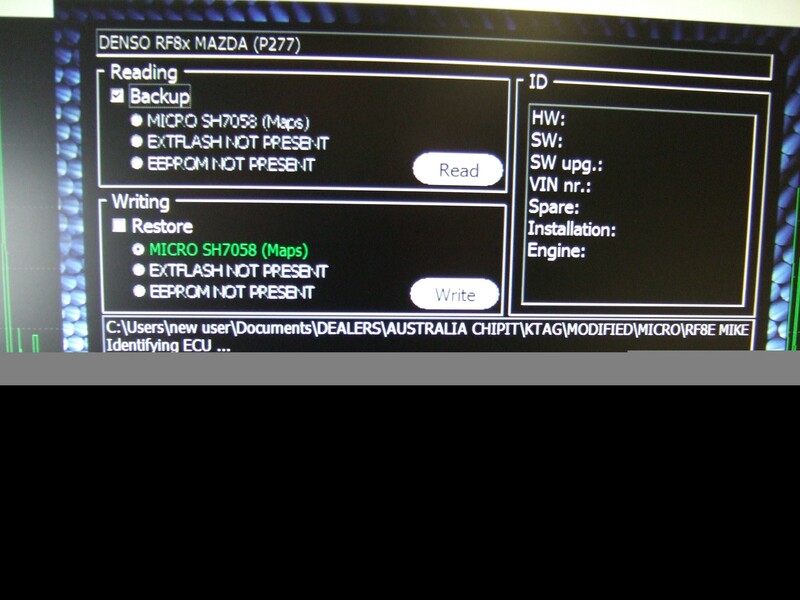 We will reprogram the factory ECU via the OBDII port to electronically disable the DPF OFF. Whilst we are modifying the file we also can carry out two procedures that make your engine more responsive and have less preventative maintenance needed. These procedures are switching off the EGR System and re-tuning your vehicle to take advantage of the freer flowing exhaust. 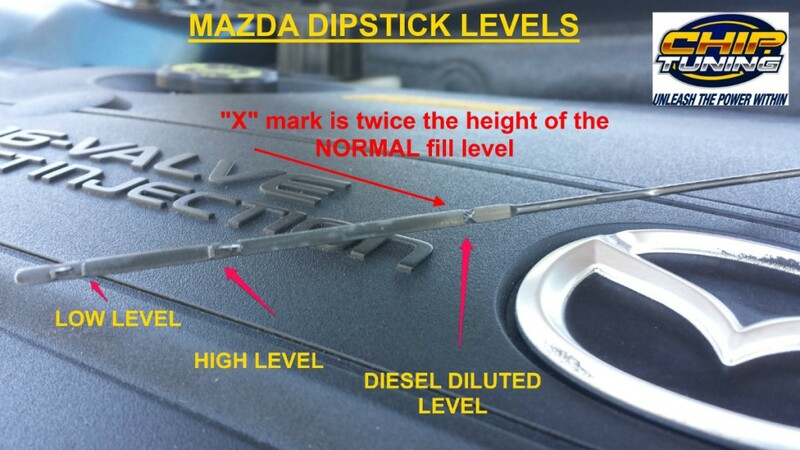 Safe higher performance or greater fuel economy will result and both will unleash some hidden power that was tuned out of the vehicle when the DPF System was first incorporated. These optional tunes range from performance tune, economy tune or a 50/50 power/economy tune which gives a mix of both power and economy. After reprogramming your ECU we fit the DPF Eliminator Pipe. The final procedure is to do a last DPF forced regen, reset the DPF Counters, Engine Oil Counter, MAF Sensor, Fuel Pump and the O2 Sensor. After all this is completed we will carry out an oil change and road test the vehicle. You can choose to fit the pipe and do an oil change yourself which means the whole procedure costs less. Our complete “drive in – drive out” service including DPF Delete Pipe, Final DPF Regeneration, Counter Reset, Injector reset, MAF reset is from $1999.00. 2) If you are too far away to bring the car to us, you may choose to send us your factory engine ECU itself. This method of file intervention is an entirely different approach. Having the ECU here on the bench means we need to program the ECU at board level. 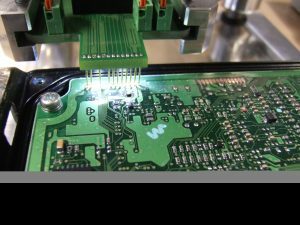 We open the ECU and program directly onto the board. We carry out the above reprogramming to also include DPF OFF, EGR OFF and Performance or Economy Tuning. You receive your ECU back ready to plug into your vehicle. We also have 2 products that allows DPF Delete without us receiving the car or the ECU. 3) TUNE GATE. This device allows us to REMOTELY access the file on the ECU and rewrite the file back to the board. Tune Gate is a small hand held programmer that connects to your factory ECU via the OBDII port. We post out the Tune Gate hardware to you. After following some very simple instructions the unit will automatically find and retrieve the factory file we need and store it locally ready to have you email the file to us. After you email the file we modify the file, addressing the items listed above and send the new modified file back to you. The Tune Gate device will load the new file into your factory ECU. Our Tune Gate hardware will do the reading, writing and storing all automatically. The OBDII port is located near the steering column on most cars. We will identify the location at time of order. All instructions, as well as a video presentation are provided with the Tune Gate. 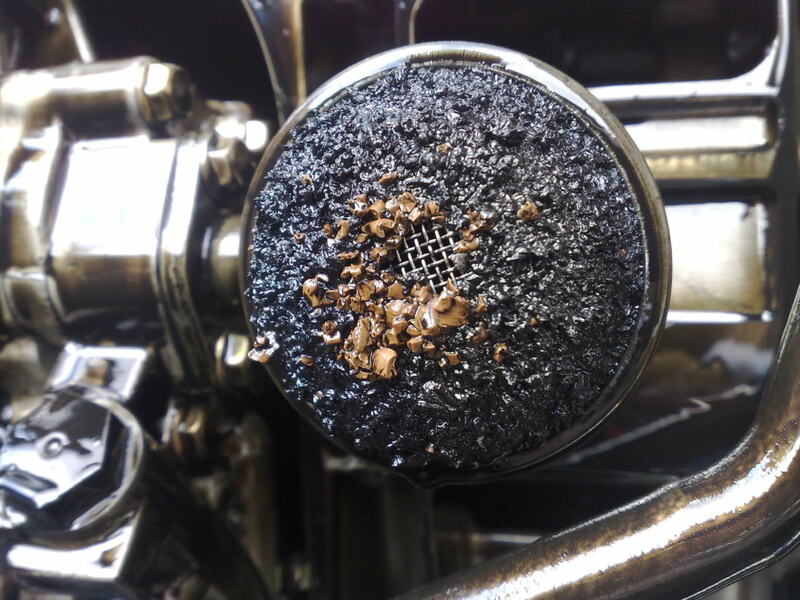 It is still necessary to have the last DPF forced regen and counters reset by a dealer (or someone with a similar diagnostic/programming tool) and then have one of our DPF delete pipes fitted. Cost of the Tune Gate is $699.00 and we charge $699.00 for the reprogrammed modified file to be sent to you. The Tune Gate is available for a few select (mainly European) vehicles only at this time. Mazda unfortunately is not part of the list presently. You can use this device multiple times and can even have the original file reflashed at any time if you wanted the vehicle to be driven on the roads. 4) DPF SIMULATOR. The DPF Simulator effectively removes the need for a reprogrammed tune to be flashed into your factory ECU by tricking the factory ECU that a DPF Regeneration parameters are not met thus never having the regen occur. The DPF Simulator / Emulator is hard wired into the existing loom. All instructions are provided. Cost of this is $549.00. 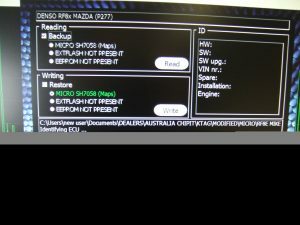 You do not need a new modified file with this solution however, it means that a performance tune or EGR off is not available. As with each of the solutions above, you will need to remove the DPF from the exhaust and fit our DPF Delete pipe at the time of fitting the DPF Simulator. The price for this item is $399.00. 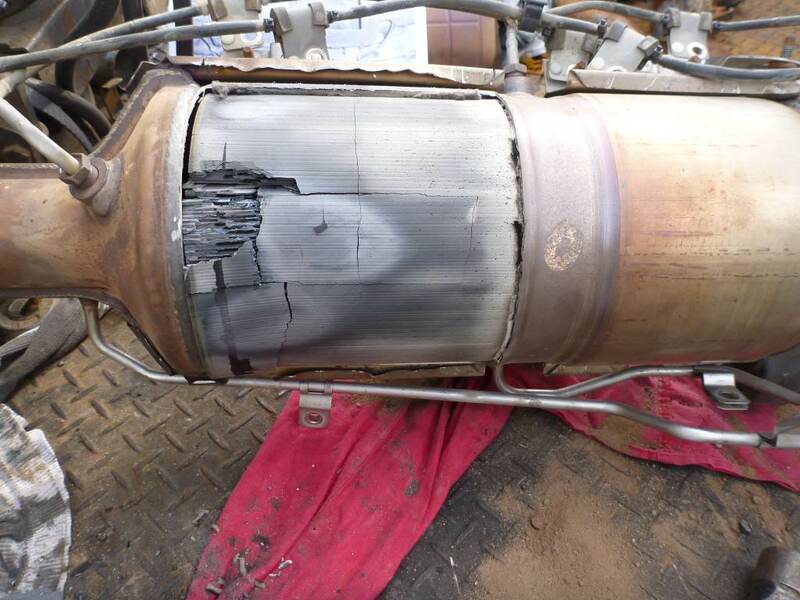 5) REPLACEMENT DPF. Replace the original DPF with our factory DPF. We buy the DPF “biscuits” from the same factory that make your factory OEM version. You simply replace the original with this. Price of these replacement DPFs are $1399.00. 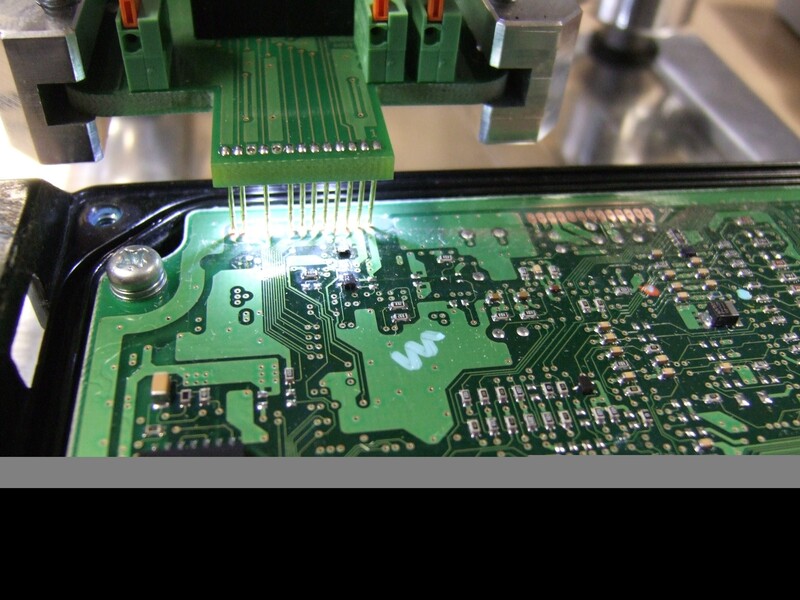 If you have any questions, please feel free to contact us by phone on 02 8090 1881 or email sales@chiptuning.com.au. Call Us on 02 8090 1881 to find out how we can help with your vehicle’s DPF problems. Regarding Emissions regulations: What the “Victorian Environment Protection Regulations” say is …. A person must not, without just cause, alter, replace or modify the engine or the exhaust system or fuel system of any motor vehicle in a way that – (a) departs from the manufacturer’s design: or (b) increases the rate of discharge of any of the constituent parts of emissions or (where applicable) defeats the intended upward discharge or dispersion of the emissions. (emphasis added). The emission system is not fit for it’s intended purpose when it can very well put you and your family in a life threatening situation if the DPF system goes into Limp Mode whilst driving up a hill with fast moving traffic so close. 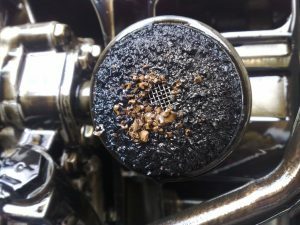 DPF Solution Is Becoming DPF Problems?